Click to enlarge this awesome shot of Wisp Resort yesterday! Okay, the title of today’s post is probably a bit disingenuous because I will say that I have had some of my most enjoyable or fun days skiing – in the rain. This isn’t a “glass-half-full” kind of commentary. It’s the truth. Over the years there have been numerous occasions when I’ve just said, ‘to heck with it, let’s just go ski’ – and had as much or more fun than on sunny days. There have been times when I’ve come off the slopes and had to wring out my coat and any layers underneath…and still was smiling the whole time. As I type of this report, I am seeing moderate rainfall here. 0.30″ of “under-developed snow” has fallen at Beech Mountain since around 6pm or so on Thursday. A stalled front seems to be lurking around just to our north. We can expect clouds, with a couple periods of light rain today across much of the region. However, today should be okay if you can get out on the snow. Snowshoe Mountain is seeing basically the same weather right now with a tick cooler temps. 0.30″ of rain has fallen there overnight…and again, we’re seeing much the same thing across the mountains of the Southeast and mid-Atlantic. Skiers and snowboarders are probably feeling a bit like that this morning. Tuesday-Thursday of this week were simply perfect for snowmaking. A few inches of natural snow here and there made things even more pristine – especially when you glance at the calendar and note that it is still November. However, IF the forecast holds – some rain is likely most of Saturday. That rain SHOULD be light for the most part, but a more significant influx of moisture arrives and that could add 0.40-0.5″ of rain to the rain gauges. As cold as we’ve seen it these past two days…we may feel a little system shocked as unseasonably pleasant weather develops Sunday afternoon. The good news is the next cold blast arrives late Tuesday with snow shower potential Tuesday night into Wednesday. So take your rain gear with you if you want to make your OWN call to simply go play regardless of the forecast. Meteorologist Brad Panovich Provides his First ‘Skier’s Forecast’ of the Season! Brad details the forecast mentioned above and shares that we could see 50s and 60° temps this weekend, but then he talks about the cold and snowy pattern coming! Check it out. Really LOVING the Tuesday night and Wednesday map of snow potential! 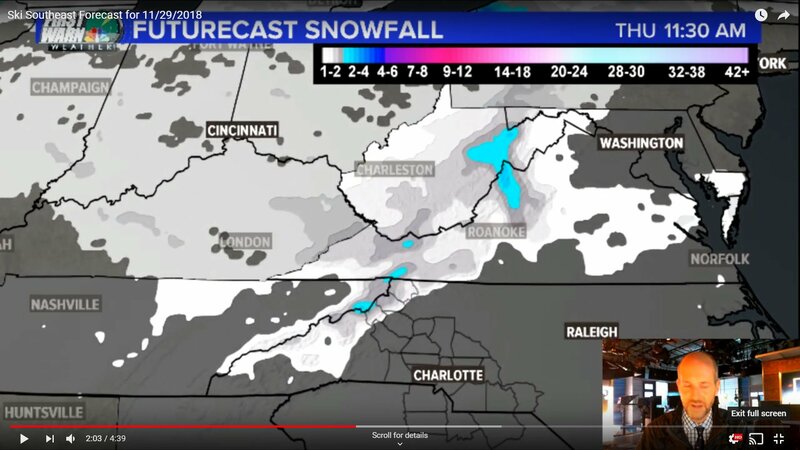 Brad shares that this snow event could be a 4-6″ snowfall for much of our coverage area with some heavier snow totals in portions into West Virginia. Cold air is coming with it! #THINKSNOW! Check the SNOW REPORT for all the deets, and here are some notables. It is also fogged in up top at Beech or we’d share a photo from people getting off the new lift. Cataloochee Ski Area – They are open for day sessions today through Sunday. Cat will play on 7 trails today. 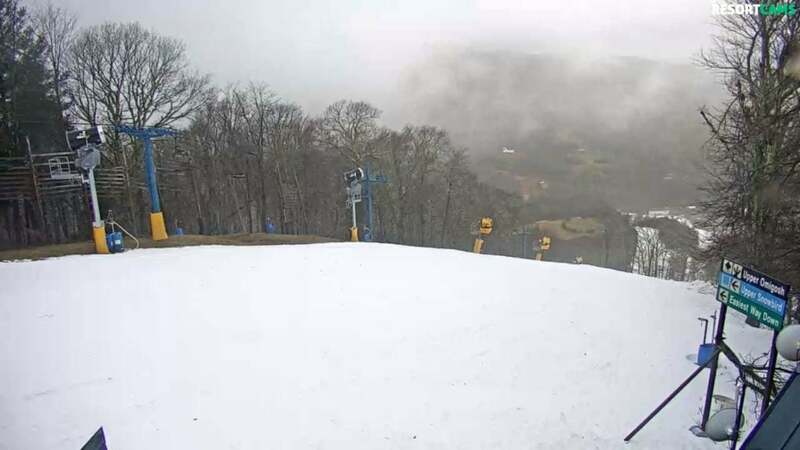 We’ve been bragging on the great views from the new BASE CAM at Cataloochee…and on Thursday Kenny Griffin was able to collaborate with Cat’s IT peeps to get the second, new webcam running at the top of the mountain. You can see a capture of that new camera feed below. Click to Enlarge this view from the top of Cataloochee. By the way as I have shared before – it never fails – when we add a new webcam you can almost always count on the first day or so for the views to be that of a rainy or foggy day. That camera will be great when the skies clear. Now we have to get one at the amazing Hemphill view! We’ll be opening the Soaring Eagle lift for the season today, making it one of our earliest openings over there, ever. Camp 99 will also open, giving us our first black diamond of the year. There may be a small delay on those new openings this morning as we put on the finishing touches. Next week, snowmaking temperatures return and the crew plans to head to the Western Territory! Explore the Snowshoe backcountry this weekend with one of our Offroad Adventure Tours! Bryce Resort – has made a lot of snow this week and will open TOMORROW, Saturday, December 1st. 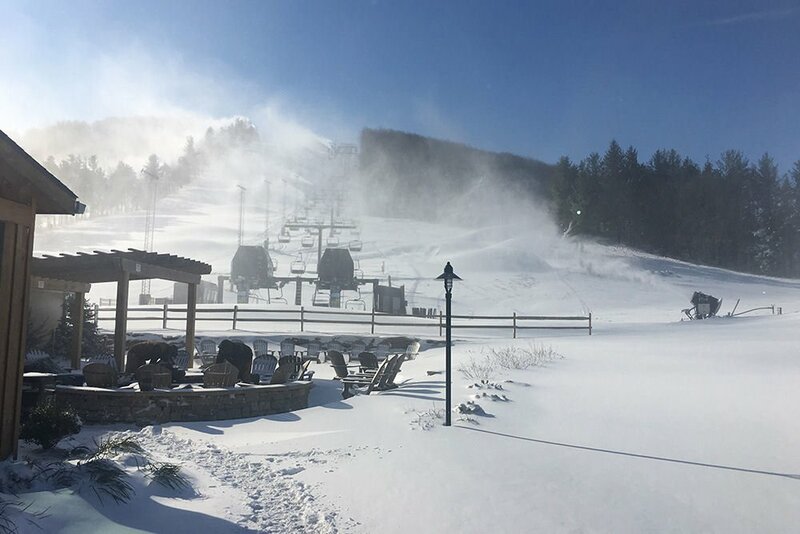 With snow guns blasting 5,000 gallons per minute around the mountain, Wisp Resort has turned about 15 Million gallons of water into snow so far this year. Along with natural snow fall, this has created a beautiful base of roughly 6 inches. The resort has put in over 100 hours of snowmaking over the last few weeks, anytime the wet bulb allowed for it. That said, heavy winds have been a jester at times and we think some of our snow might have made it all the way to Oakland! As of today, the winds have finally subsided and we are starting to see some pretty good whales develop. We are forecast to lose snowmaking temperatures around mid-day today, and will be shutting down snowmaking operations until the next window of opportunity. Next window looks to be sometime Tuesday evening, but our snowmaking team is standing by should that change. We will update you with Opening Dates as soon as they are officially announced through our Wisp Resort Facebook page and our e-club newsletter which you can sign up at www.wispresort.com. In the meantime, our grounds-crew is making sure all of the features around the resort are ready for the winter season: working on snowtubing lanes, reloading firepits, and decorating for the holidays. Let’s get excited for an awesome winter in Deep Creek Lake! Appalachian Ski Mountain – They’ve opened more terrain as well and are not at 9 of 12 slopes open. You may have noticed we have started making snow on the slopes to start building our base! We will continue to make snow as temperatures permit. In addition, we will be using our warm-weather snowmaking technology to supplement the upcoming warm weather this weekend. Please check back for updates as we hope to open early December… reminder… it’s almost December!! They shared this quick video of snowmaking from Thursday AM. They are also working on getting another webcam up. Not sure how, with whom or when. However, they are hearing from people (as are we) about it being down. 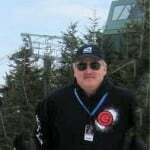 You can read the full announcement and a bit of Rudy’s bio here – SkiSoutheast’s New FirsTrax writer. I just want to take a moment and thank those of you who submitted sample stories. I had some really great conversations with a few of you and it was really heart-warming to speak with people who obviously have been avid readers of SkiSoutheast over the years. 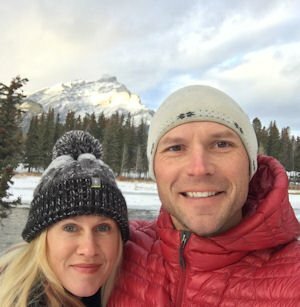 It was also awesome to connect with fellow, snow-loving people who just want to be involved in the sport. Obviously we chose Rudy for his experience, talents and vibe – but I being sincere when I say that I could have chosen several from the sample writing that I received…and we’d have been in great shape. I also think that the process also got us connected with several people who will probably contribute some input this season. I particularly enjoyed a conversation with a 74-year young gentleman who would have made for a great addition to our team as he was at Sugar and Beech’s opening this season and he shared a real interest in our region’s ski resorts. In speaking with several candidates, I heard from a pastor, an attorney, two retired people, and everyone I spoke with were already working full time positions with other companies – but simply wanted to contribute. That was really cool. I personally emailed each person who did reach out to me and I simply wanted to say “thanks again” here – officially. Just as a matter of record, we have toggled off the snowmaking column for all the ski areas today, but just know that snowmaking did happen over the past 24 hours.